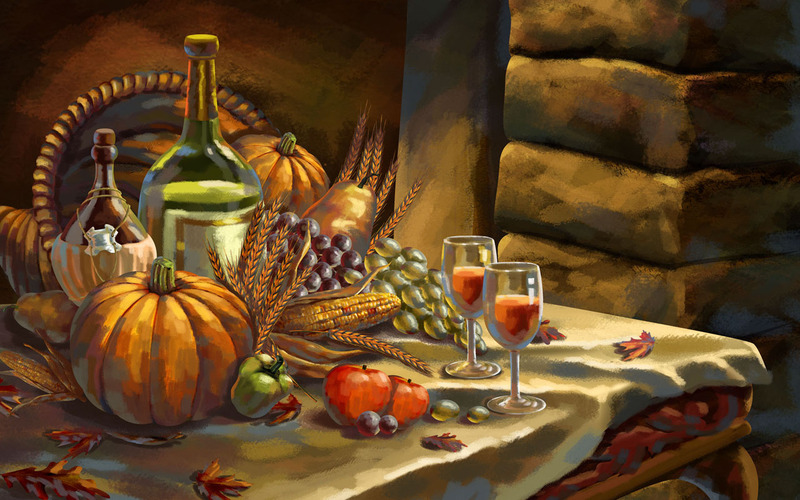 Thanksgiving Day – All Year Round! Later this month, Americans will celebrate Thanksgiving Day with festive family gatherings recalling the rejoicing of our Pilgrim forebears. It is a wonderful tradition I joyfully anticipate each year – especially the prospect of roast turkey with oyster dressing! With this theme of thanksgiving in mind, our psalm-of-the-month for November is Psalm 92. In our Lord’s Day morning worship, we will sing Isaac Watts’s paraphrase known by its opening words, “How Good It Is to Thank the Lord.” Thanksgiving was important in ancient Israel, and not just once a year. The opening verses of Psalm 92 provide helpful orientation to how we should weave thanksgiving into our lives throughout the year, especially in corporate worship. Psalm 92 bears a superscription: “A Psalm. A Song for the Sabbath Day.” Clearly God intended this psalm to be sung by His people in weekly worship – worship that is to be marked by a spirit of thanksgiving. This is a worship song that tells us what good worship song is all about. Here are a few brief observations from these verses. (1) Offering thanksgiving to the Lord is a good thing! It is ethically the right thing to do, and therefore it is not merely an optional activity for the Christian. While lack of thanksgiving is the hallmark of unbelief (Romans 1.21), the giving of thanks is to characterize the lives of all true believers. 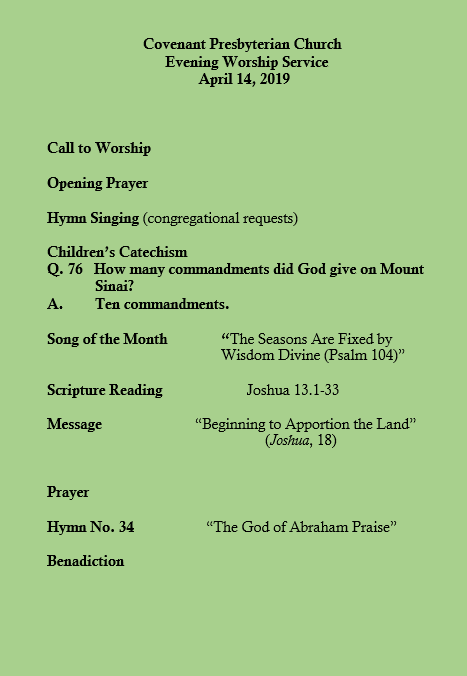 (2) Singing praise (sometimes with instrumental accompaniment) is a fitting way to offer thanksgiving. Ordinary speech isn’t enough. Lovers sing of their beloved, which is what we do when we sing to the Lord in corporate worship. (3) Our thanksgiving flows from hearts made glad by God’s Word and lives blessed by God’s work. We sing God’s praises because we have been the grateful recipients of His grace. Devout praise is always good, it is never out of season, never superfluous, but it is especially suitable to the Sabbath; a Sabbath without thanksgiving is a Sabbath profaned. In the spirit of Psalm 92, let us seek to make every day Thanksgiving Day unto the Lord. And let us especially prize the opportunity to offer our praise corporately with the saints each Lord’s Day. Let us not be lackadaisical in this regard but really sing out with joy the praises of our great God. When we thus honor the Sabbath and the Lord of the Sabbath with thanksgiving, we please Him and edify one another. It truly is good to give thanks to the Lord!